Google's just refreshed their Nexus 7 tablet and this time you can plant your face on a 1920 x 1200 1080p display. 2GB of RAM and a 5MP camera on the back for all that oh so important moments you need to take a picture of the food being served before you eat. Now I've never owned an Android device yet but if I had USD 229.00 to throw around I'd probably start with this little tablet here just to see what the Android OS was all about. It also wouldn't hurt to get one free if you guys are feeling a little generous. 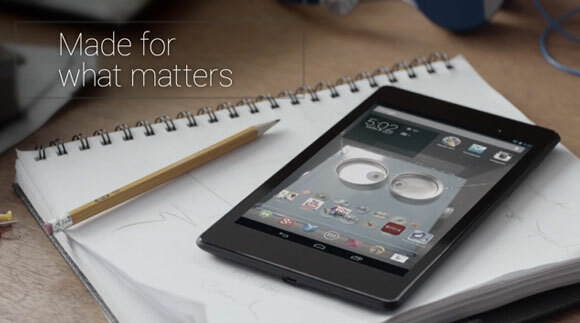 Anyways, as always Google's got a great video showing what the Nexus 7 can do for kids in school.